People will see it. Our garments are a cut above the rest. Many men own topcoats that are simply too large for them. They look sloppy and outdated as well as being less effective. When the coat is too large, air and wind can penetrate the shell. 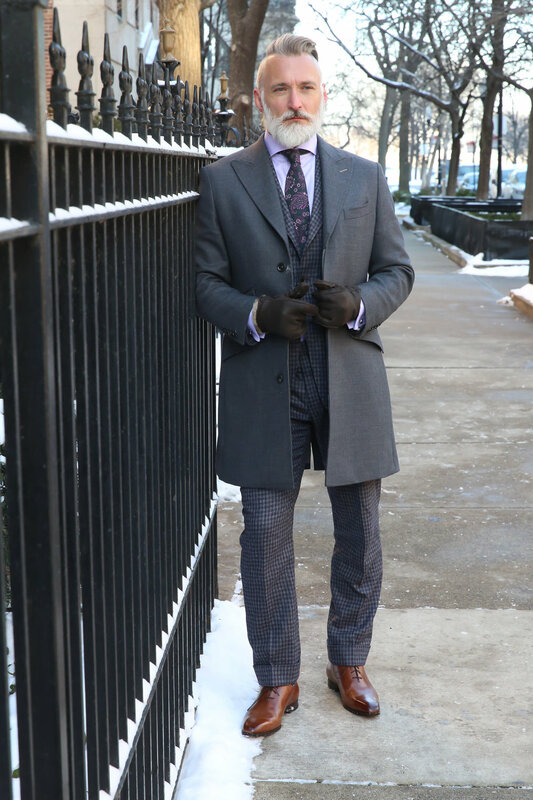 When the coat is fitted properly over your suit or another layer such as a sports jacket or sweater, you are more insulated. The compact nature of your ensemble will have you 10 degrees warmer than your colleagues. We recommend a ¾ length coat which is most practical for your suits and more informal occasions. With an elegant new topcoat hanging in your closet, you’ll welcome cooler temperatures, as summer turns into fall. Choose from 100% Mongolian cashmere, cashmere/wool blends & Australian wool in a variety of colors and patterns. No animals are harmed in the process of obtaining our cashmere. They just get a really nice haircut.